For Indigenous youth, a strong cultural identity is critical to making appropriate decisions for themselves and their people. To be empowered as agents of positive change for their communities, young adults, specifically women, can benefit from intentional and sustained opportunities to learn from elders and peers, as well as from the land and the sky. The Our Mother Moon project supports Indigenous women and elders in learning about, protecting, and appropriately sharing Indigenous knowledge about the Moon. 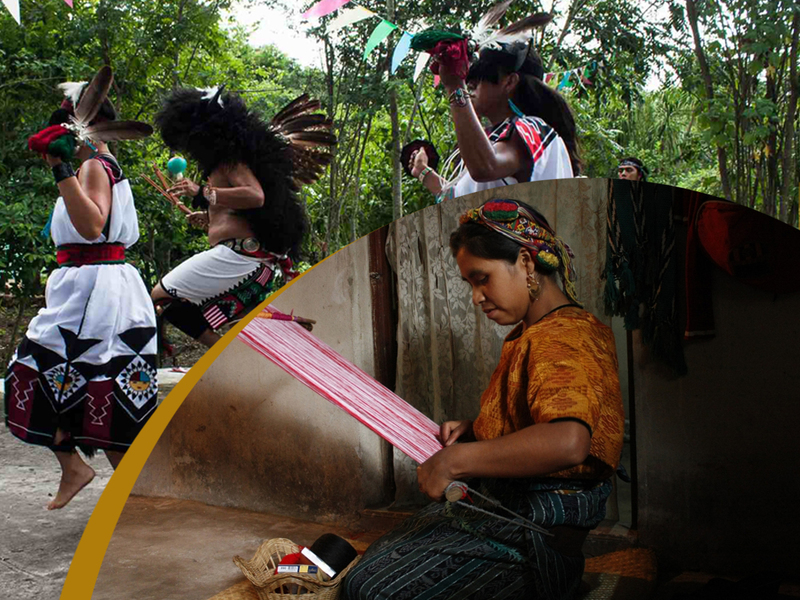 Through intercultural collaborations among Maya, Pueblo, and Zapotec young women and elders, the effort nourishes unique female attributes connected to the Moon in the context of the following themes: lunar astronomy and tides, calendars, fertility and midwifery, weaving and natural pigments, sustainable agriculture, native bee-keeping, and plant medicine. Intergenerational teams work together during face-to-face local gatherings and across regions using videoconferencing technology to share, compare, and contrast information and methodologies. Through collaborative project design and implementation, participants strengthen their capacities for Indigenous leadership through community engagement and reciprocity. Indigenous people have been thriving with resilience and cultural strength for millennia. However, the pressures of globalization and information technology contribute to the erosion of traditional knowledge and values. A direct connection with the cosmos has been weakened or forgotten, but not lost. The Our Mother Moon project offers Indigenous women an opportunity to reengage and redevelop a personal connection with the Moon, to tap into and nourish traditional knowledge tied to the Earth’s faithful companion for the benefit of future generations.